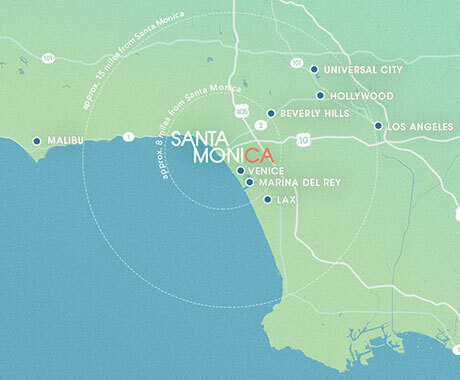 From art sculptures and observation decks to sports courts and playgrounds; plus walking trails, picnic spots, and tons of green space to lie back and relax on; Santa Monica is home to more than 20 different parks — each with its own unique vibe. Make the most of the city’s 300+ days of sunshine by hanging out at one of its best public spaces. 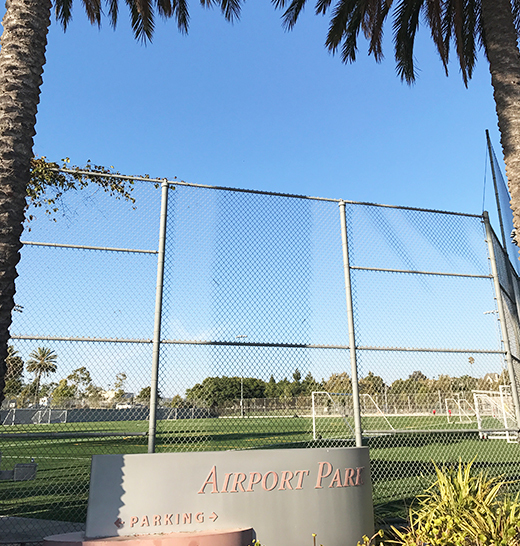 Complete with 17 picnic tables and 6 BBQ grills, Airport Park makes a great destination for an outdoor meal. Kids will love the playground and watching the planes take off and land nearby. 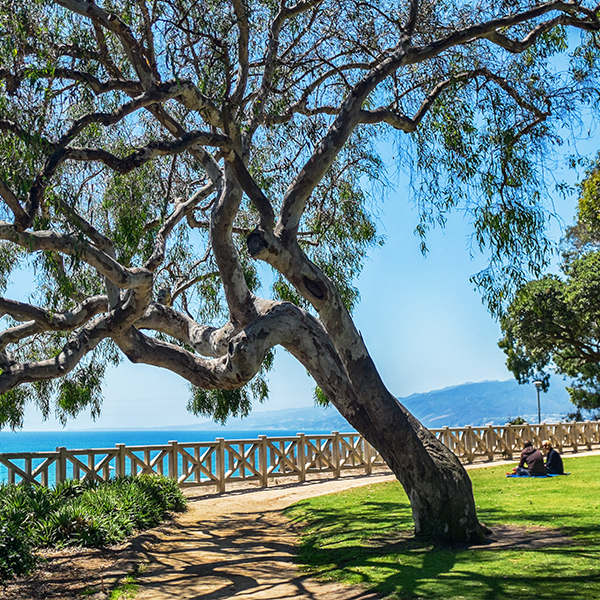 Running parallel to the beach at a higher elevation, Barnard Way Linear Park offers panoramic views of the shoreline and the Santa Monica Pier and is great for picnics, romantic strolls and sunset selfies. 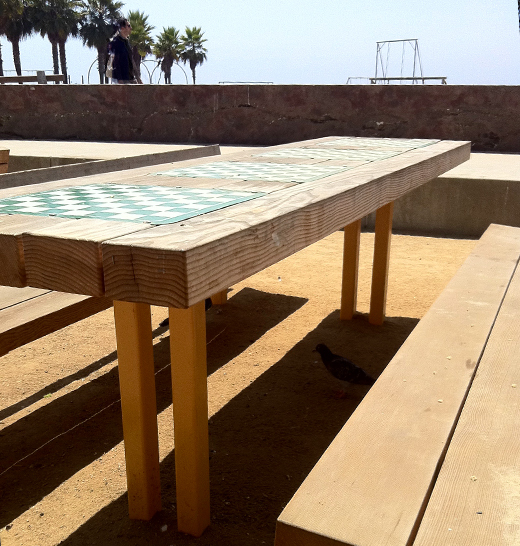 Just south of the Original Muscle Beach along Ocean Front Walk, Santa Monica’s International Chess Park features permanent chess tables, over 100 player seats, a human-size chessboard and lots of local character. 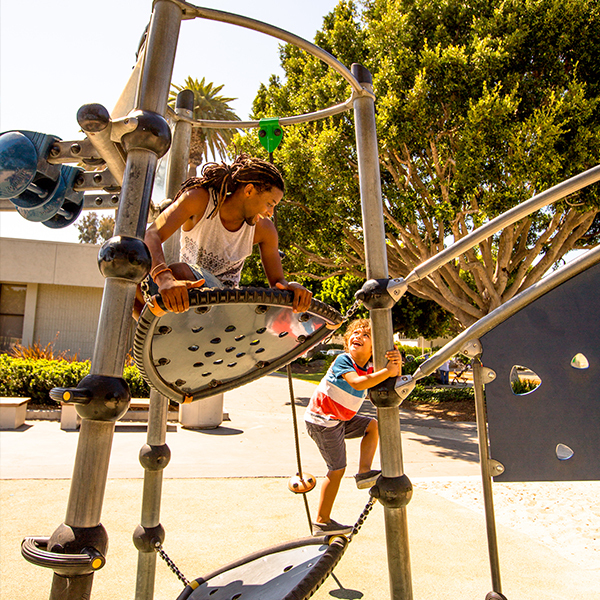 Put your croquet or horseshoe tossing skills to the test, enjoy a game of tennis, or let the kids burn off steam in the playground — Christine Emerson Reed Park is a popular hangout just off Wilshire. 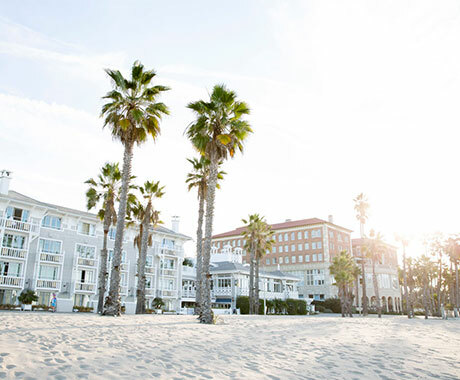 Running the full length of downtown Santa Monica, the beautiful 26-acre Palisades Park is the ideal spot to watch the sunset from cliff level before exploring its sculptures, rose garden and more. Mary Hotchkiss Park is a popular neighborhood green belt, filled with trees, benches, picnic areas, and great ocean views. It’s also home to “Oneness,” a public artwork by Eino Romppanen. The dramatic topography of rolling hills and braided paths make Tongva Park feel much larger than six acres. 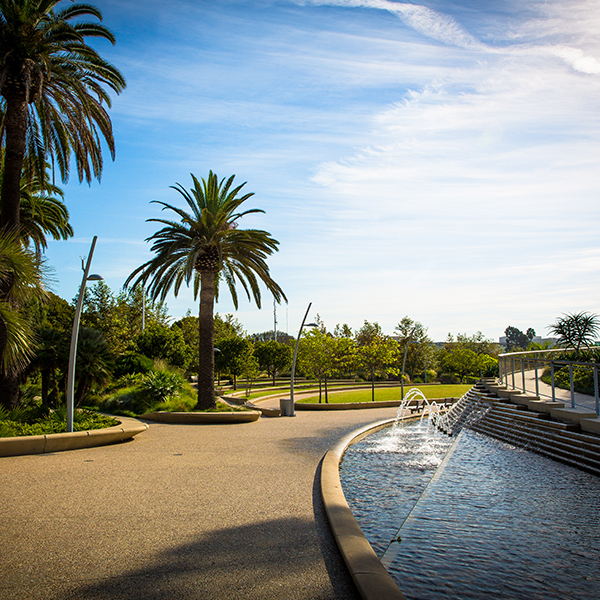 Explore the shaded paths and art sculptures of this urban oasis, set just off Ocean Avenue. From skateboarding to baseball to soccer, Memorial Park makes a great destination for a wide variety of activities. Master your serve on the tennis courts or hit a home run on the baseball fields. Home to a vibrant weekly farmers market on Saturdays, two regulation-size basketball courts, two playgrounds and a summer Splash Pad, the 9.5-acre Virginia Avenue Park makes for a great family-friendly destination. Access Ocean View Park from Main Street and set up a picnic for the kids at the beach play area. Its climbing structure, swings and scooping toys provide hours of endless fun for little ones.